Pure green organic tea with naturally extracted mango flavour. Delicious in taste, mango is nutritionally rich and referred to as a super fruit. It is associated with the cleansing of skin, improved libido, aiding digestion and overall energizing. 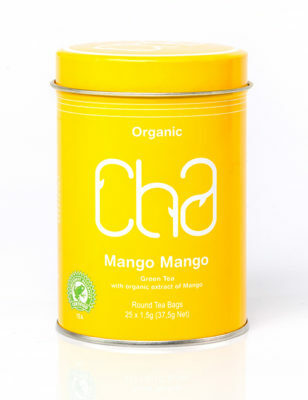 Combined with the health benefits of green tea, our fragrant Mango Mango tea is a real treat without any guilt. Enjoy hot or cold with a drop of honey.